Bacon cream cheese is every bit as yummy as it sounds — savory, cheesy, and creamy! 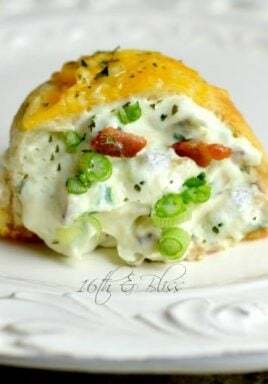 The tender and fluffy biscuit dough wraps around a delicious cream center for an appetizer that’s rich and satisfying — and one that will disappear fast! What’s great about this recipe is that it’s pretty much made in a single bowl, so it’s easy to put together and easy to clean up. Pin it your APPETIZER BOARD to SAVE it for later! You may be familiar with bacon cream cheese dip. This recipe goes a step further and encloses very similar, tasty ingredients inside biscuit dough. The result is a tempting and luscious appetizer! Since this recipe features biscuit dough, you can use your favorite brand of refrigerated biscuits. Once you open the can and separate the dough, you may want to very lightly flour your rolling pin before rolling them out for a smooth, easy roll-out. You can substitute low-fat cream cheese for regular cream cheese in this recipe, and if you’re in the mood to experiment with a cheese other than cheddar, that’s fine too. Similar cheeses include Colby and Monterey Jack, and Pepper Jack will give you a bacon cream cheese with a flavorful kick! Whenever possible, choose either freshly grated Parmesan cheese, which you’ll find in the refrigerator section of your grocery, or better yet, buy a small block of Parmesan cheese and grate it at home. These fresh options will heighten the flavor of the bacon cream cheese. 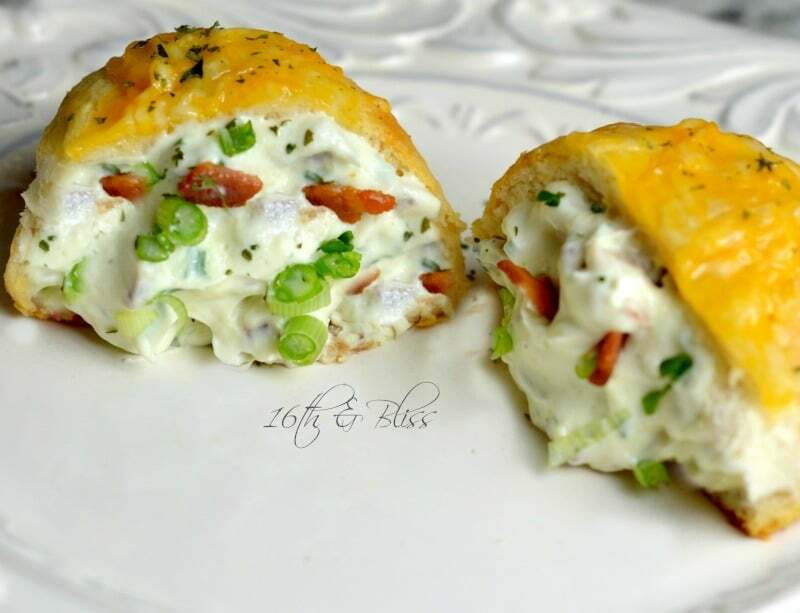 Choosing fresh ingredients and being thoughtful about any substitutions will result in the most amazing bacon cream cheese bombs! This recipe is very easy to double (or triple!) if you’re serving a crowd, and if you’re feeling adventurous, you can make some of them using a spicier cheese for variety. 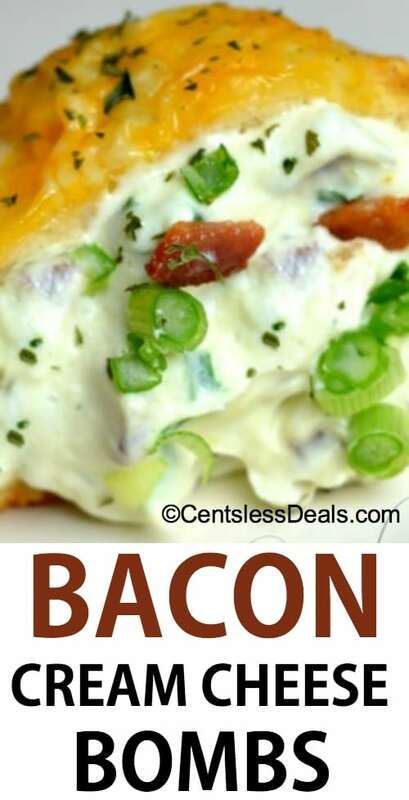 Bacon cream cheese is every bit as yummy as it sounds -- savory, cheesy, and creamy! 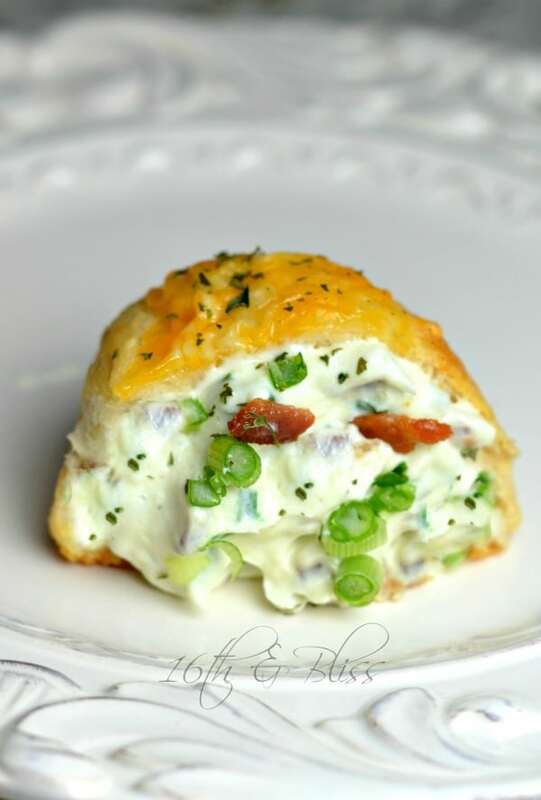 The tender and fluffy biscuit dough wraps around a delicious cream center for an appetizer that’s rich and satisfying -- and one that will disappear fast! In a medium sized mixing bowl, mix together cream cheese, bacon, green onions, garlic salt, and parmesan cheese, mix well. Open can of biscuit dough and separate out each biscuit. Roll each biscuit out flat. Take a spoonful of the cream cheese mixture and place it into the center of the biscuit dough. 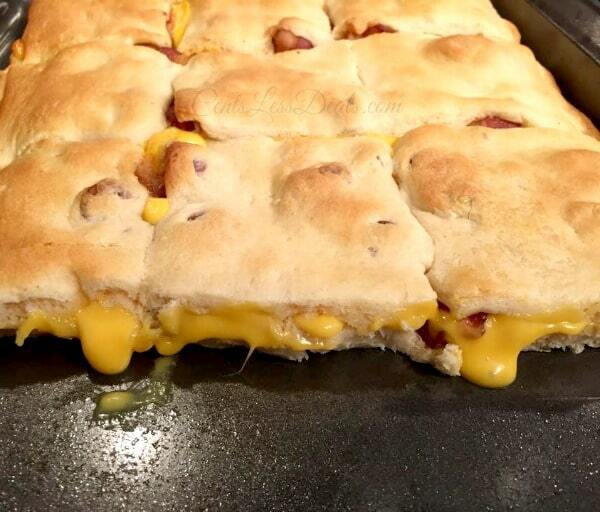 Take edges of the biscuit dough and fold over until cheese is covered. Pinch edges to seal. Place on a greased baking sheet and repeat until all the biscuit dough is filled. Sprinkled grated cheddar cheese on each biscuit before placing in the oven. Bake at 350 degrees F for 11-13 minutes or until golden brown. If you use garlic salt in place of garlic powder, reduce the quantity to 1/4 teaspoon. Nutrition information provided is an estimate and will vary based on cooking methods and brands of ingredients used. You will definitely love the simplicity and flavor of these bacon cream cheese bombs — and everyone who eats them will smile with delight! 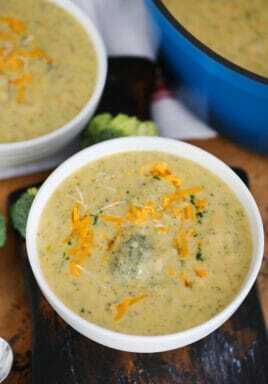 « Previous PostRotel Dip recipe! I just made this today for a half time snack. I cut each biscuit into 4 & flattened those to make bite size. I am going to try & put cheddar cheese on the inside next time. Most of the cheese that i put on top, melted off. Was a great hit! So glad you loved them Therese! Thanks for the tips Christina! Are the refrigerated biscuits the same as puff or shortcrust pastry? I am an Australian and we don’t have those biscuits here. It’s more like a scone type dough. I haven’t tried it, but another reader suggested to use this biscuit recipe. Enjoy Donna! Is the nutritional information for each Bacon Cream Cheese Bomb or for the entire recipe? The nutritional information is for one serving, 1/8th of the recipe. “Nutrition Information”… but there is no nutrition information provided. Any guess on a calorie count? I think they came out great..would divide the biscuits…would add some grated onion or spice and maybe some crab or chicken…will make again ..i took paper towel and swiped some melted butter on them and sprinkled parm on them..keeper recipe! That you for your great ideas Natalie! Can you make these ahead of time and refrigerate until your ready to bake? I have only baked them right away, but other readers have had success refrigerating and baking later. You may need to add a minute or two to your baking time. Enjoy, Shauna! 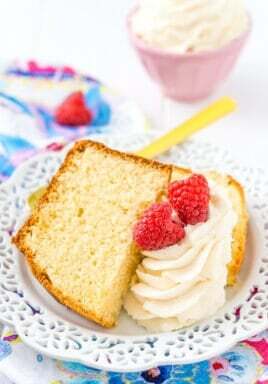 I used only 1 Pillsbury Grand Flacky Layers, 16.3 oz. (8 Biscuits). Doubled the other part of the recipe. Separated biscuits to 16, rolled out and cut in half. Made 32 little smaller than golf balls. Preparation time was much longer than 5 minutes. Took about 1 1/2 hours to prepare. Trying for the first time- has anyone used a muffin pan to bake these in? These all sound delicious. Want to try them. My husband and I love these! We use the mixture as a dip too,cold or warm it’s great with brusetta bread…we also found that adding chicken or steak adds a yummy twist to the recipe! Great idea, thanks for sharing! For a spicy bit ,throw some dice jalapenos in it . 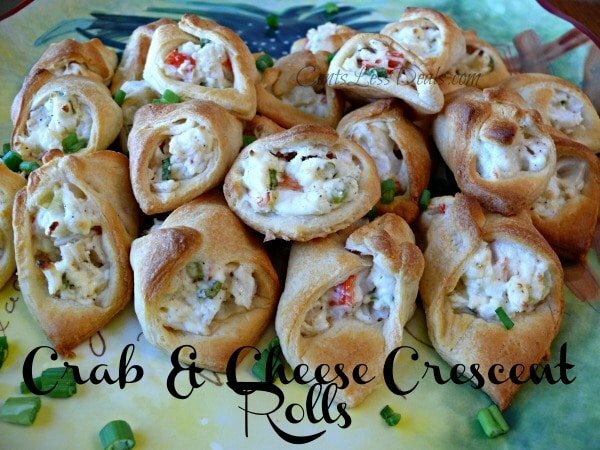 Has anyone made these with the can of refrigerated crescent rolls? And the results? Im diabetic. Do you think I could use almond flour and make my own homemade pastry to fill these? I haven’t tried it that way. Please let us know how they work out! These were delicious! I decided to cut the Jumbo home style biscuits in half and then roll them out, making 16 mini bombs. Putting this recipe in my favorite section. They were da bomb! I made this in a 9×12 dish. I used filo dough. I placed it in the bottom of the dish spred the cream cheese mixture then topped it with another layer of filo. When it cooled I cut it into squares with a pizza cutter. It turned out awesome. You could make your own biscuits. You can find a recipe for biscuits here. puff pastry or crescent roll dough would work too. I’m not a big fan of biscuits of any kind. However, this looks yummy! So could I sub puff pastry or rolled out crescent roll dough for the biscuit dough. Looks good though I would would not use the one I would use a substitute. It looks like the biscuits have another herb mixed in as well as topped over the cheese. can you shed some light on what this ingredient is? Oh my goodness these are delish! made these for my daughters housewarming party yesterday, they were a HUGE hit! would not change a thing. I did make the cheese filling 1 day in advance. The day of the party I assembled the cheese bombs early morning and refrigerated till I was ready, later that day. Can these be formed and refrigerated for baking next day. Or cooked and reheated? This was a great recipe, but can I suggest that you note what size biscuits to use, such as the large and flaky size or the regular size. I used this recipe in a cooking workshop that I teach and I try them at home first, and since the kids really wanted to make this one I couldn’t nix it just because I did not know exactly what size of something was suppose to be. Needless to say, we did find that using two of the regular sized cans of biscuits worked well and the kids loved the results of the recipe. Thank you for sharing the recipe. This works with biscuits made from Bisquick, too. 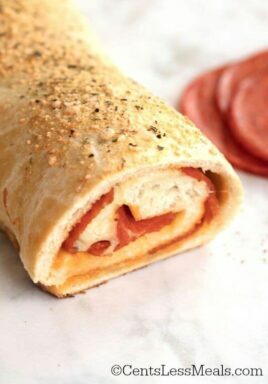 Just make the dough, roll it thinner than usual, and cut out the circles to fill. I love this blend of cheeses and other goodies! I’m on the way to the kitchen as we speak! Merry Christmas to all! Are the biscuits the regular size or smaller ones? 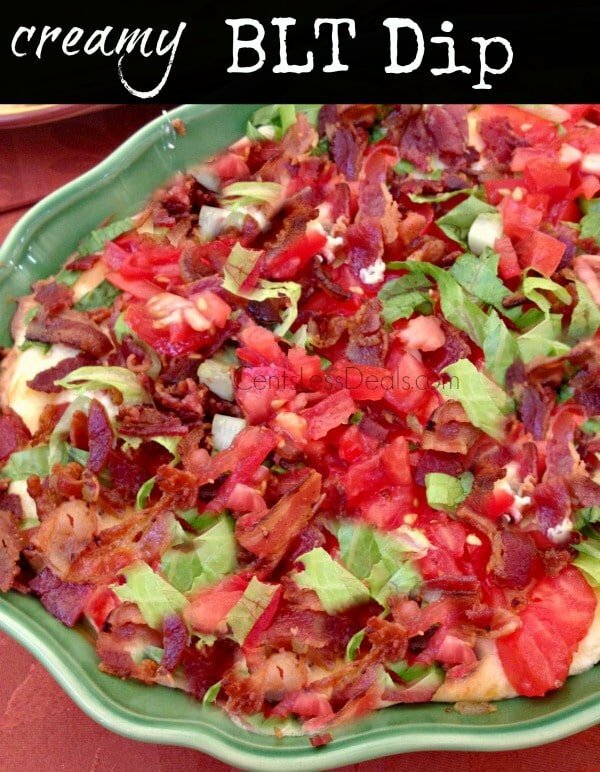 This recipe and all of your others look mouth watering cant wait to try them out on my southern family.